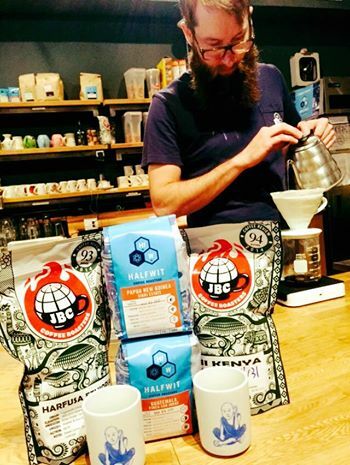 The Midwest’s ever-rising profile in the world of specialty coffee continues to astound us, and our latest guest, JBC Coffee Roasters, is certainly no exception. Based in Madison, WI, Johnson Brothers Coffee Roasters have sought out and served up a dazzlingly diverse array of coffees from all over the world since 1994. Specializing primarily in 90+ scoring coffees (i.e. “the good stuff”), JBC’s focused roster of offerings is one of the most laudable in the country. From this formidable lineup, The Wormhole has hand-selected JBC’s Kii Kenya and Ethiopia Harfusa to feature on our brew bar. Jammy, with a viscous body and Shiraz-like acidity, the Kii Kenya radiates with complex waves of tannins, strawberry, and blackberry. A classic, textbook Yirgacheffe, the Ethiopia Harfusa’s delicate teeter-totter of zesty lemon and milk chocolate elegantly wavers and sweetens as it cools. Support our fellow Third Coast roasters and ask your barista for a JBC coffee on V-60 today. 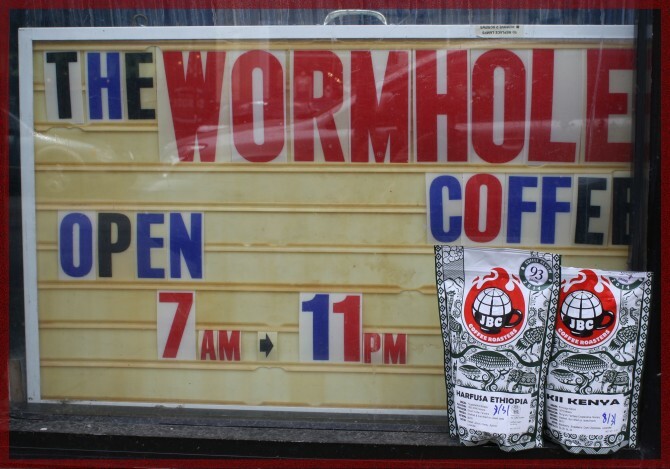 Darrell Monti is our online journalist here at The Wormhole. As well as the curator of our Guest program.